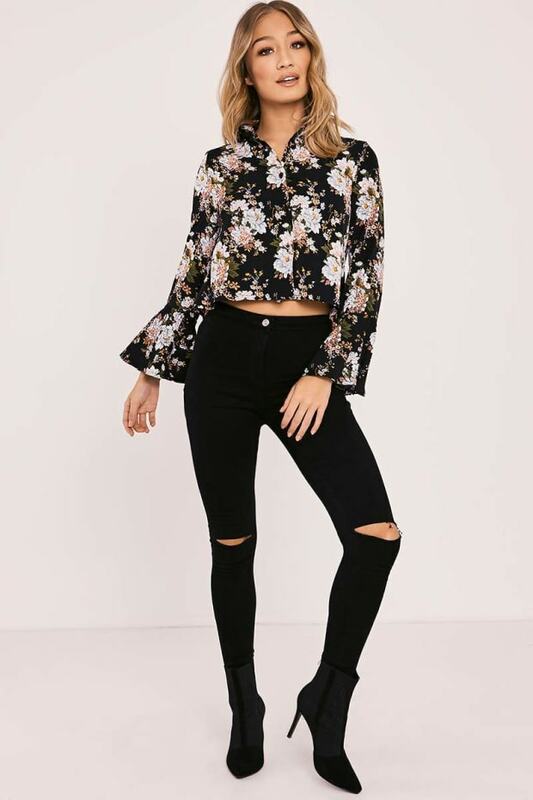 Get maximum style with minimum effort wearing this black shirt! 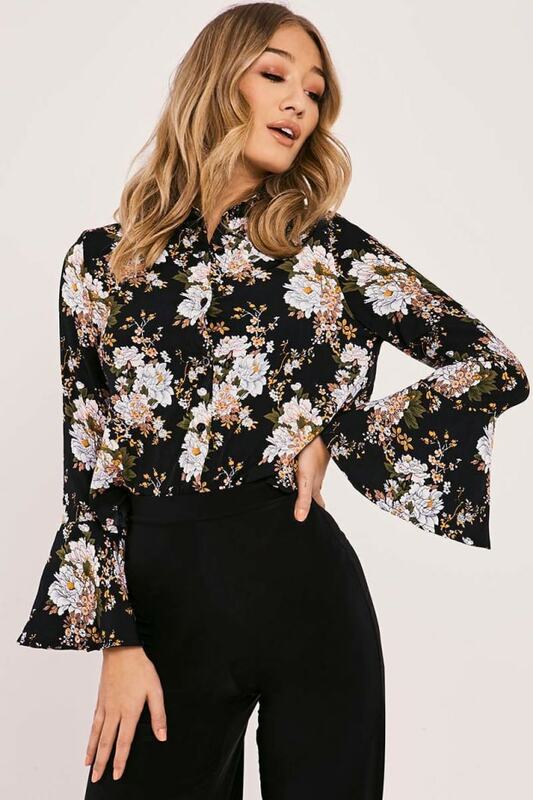 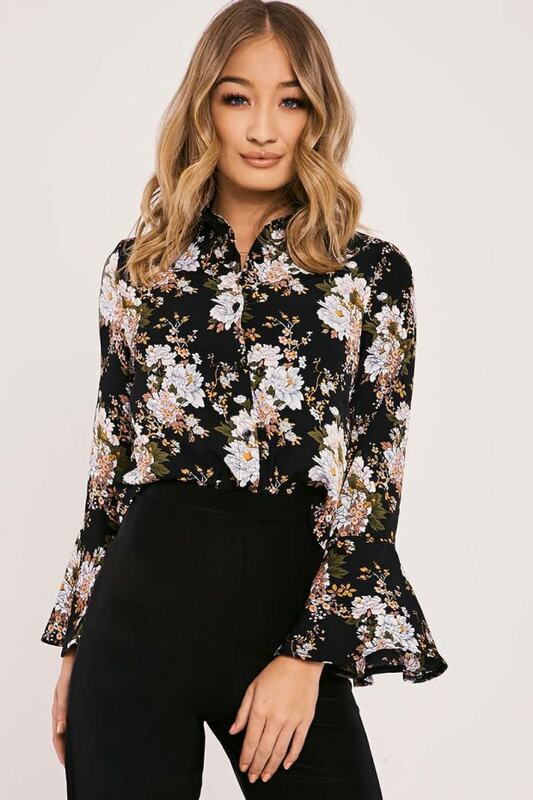 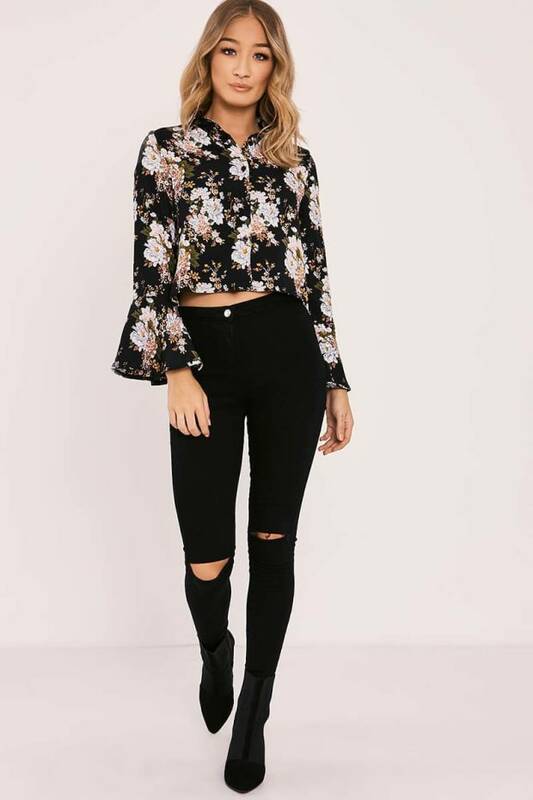 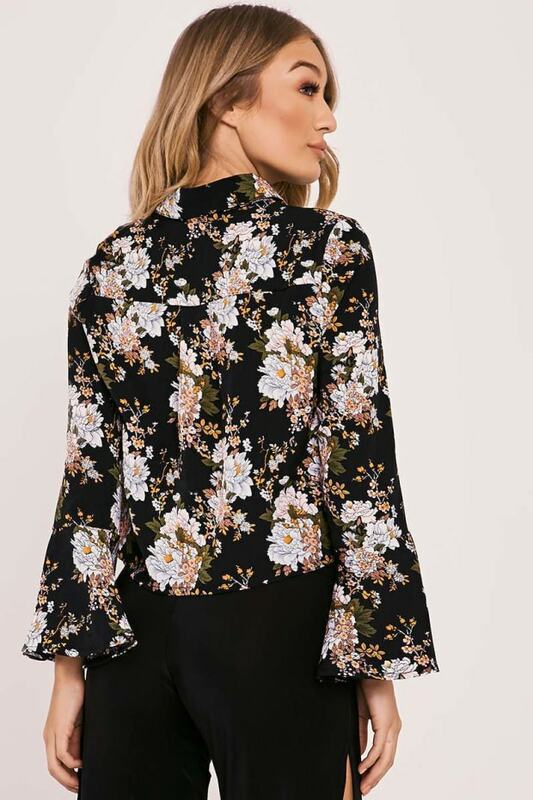 In a sassy cropped design featuring a flirty floral print and flared sleeves, this shirt is bang on trend for the new season! 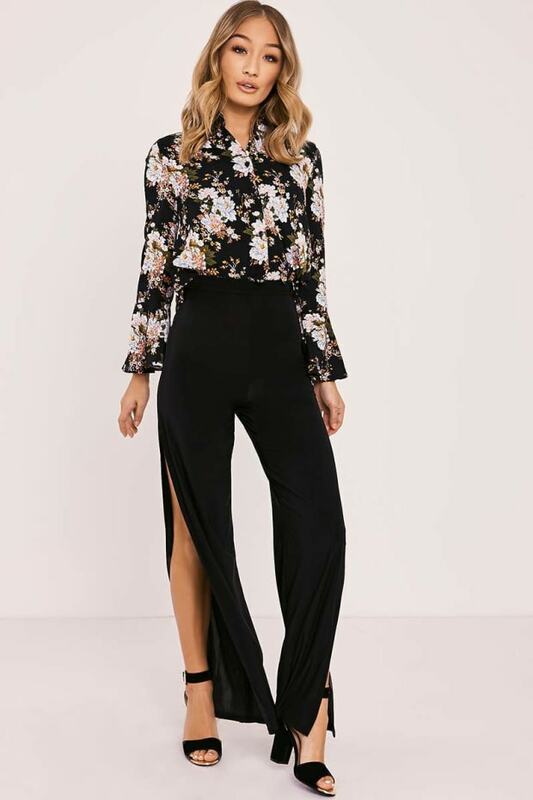 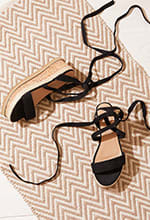 Swap the skinny jeans for flared trousers for the perfect evening look.